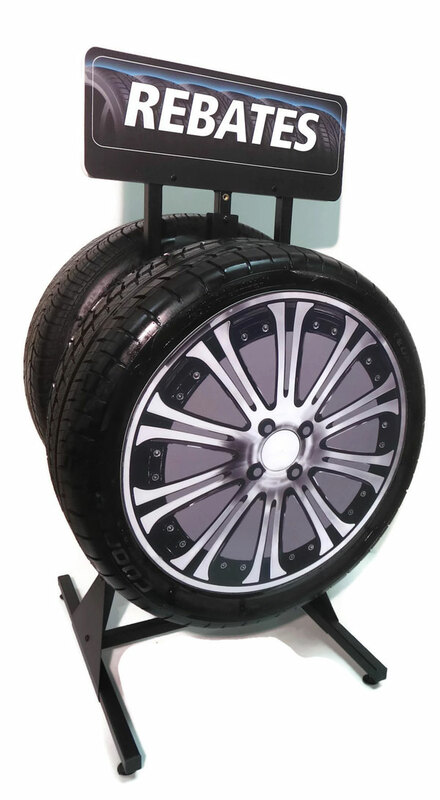 This modern Slimline 124 Tire Floor Display is made to showcase your featured tires. Includes 2 Generic Signs. Add Tire Inserts (sold separately) to complete the look. Versatile, Slimline can be used as a one or two tire display (low profile) or two or four tire display (tall profile). Unmounted tires can be displayed on one or both sides. Adjustable tire brackets accommodate various size tires. Easy assembly, the only tool needed is a screwdriver. 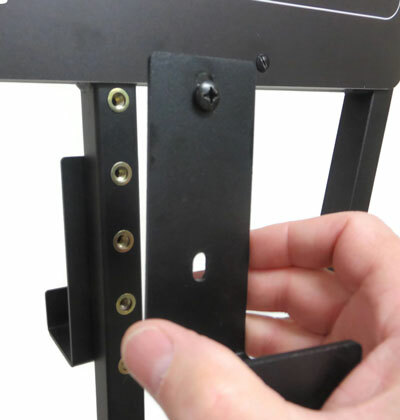 Special black powder coating minimizes smudges, dirt and fingerprints. Levelers allow the Slimline to evenly sit on most floors. 20.5” wide x 24” deep x 74.5” high (four tire configuration, includes header).